The Sigma 14mm f/1.8 ART lens is the first block lens from the company to offer a coverage of 114.2 degrees. Shridhar Kunte put it through its paces. Sigma is capturing significant ground by introducing more lenses into their Art series clan. This is the very first lens for full frame cameras, among all manufacturers, with a focal length of 14mm and a fast aperture of f/1.8. Going by Sigma’s global vision for the Art series and specifically for this lens, it is designed to achieve truly notable optical performance wide open, and is ideally suited for creative and fine art applications. Given the various problems that is generally expected from a wide of this focal length, especially wide open, I was quite keen to find out how it performed. The construction of the 14mm Art is really quite complex. It includes 16 elements in 11 groups, and no less than seven special elements. Out of these special elements three are Low Dispersion (FLD) and four are Special Low Dispersion (SLD) elements to counter aberrations and improve image quality. The lens is rated for use with high resolution sensors. A 9-blade rounded diaphragm enables rounder bokeh. As with all Art series lenses, the lens is weather sealed. It includes a rubber ring at the mount, and the seals protect the lens against dust and splashes. A newly updated Hyper Sonic Motor (HSM) allows a 30 percent faster AF, and Full-time MF override is available. A petal shaped lens hood is part of the lens and it cannot be removed. A carrying case come included with the lens. Sigma is the only lens company that offers photographers a way to both update firmware and calibrate AF via the Sigma USB Dock, purchased separately. An additional advantage is Sigma’s Mount Conversion Service. For a fee, you can change the mount of your Sigma lens in case you happen to switch camera brands in the future. The lens feels rather good in the hands, with the weight contributing to steadiness while shooting. It is a heavy lens though, weighing well over a kilo, and bigger and heavier than its closest competitors. The Sigma 14mm Art is made of ‘Thermally Stable Composite’ materials along with traditional metals. I tested the lens on both the Canon EOS 5DS and EOS 6D. Although newer full frame cameras offers exceptional high ISO performance, the choice of f/1.8 over a more standard f/2 is interesting, not just for low light, but also when you wish to creatively use depth control (especially considering how difficult it is to get a shallow depth of field at a focal length this wide). One of the highlights of the Art series is the wide, ribbed, rubber focus ring that falls exactly at the right position. The grip provided by the ring is excellent, as is the angle of rotation to cover the entire focusing range. MF is a pleasure to use, and I often found myself resort to zone focusing while shooting on the streets or in light where the 6D struggled to focus easily. The ring has the right resistance to allow precise movements, and the full-time MF override helps. Manual focusing is also supported by a reasonably well articulated DOF scale. With such a wide coverage the first thing that comes to mind is the level of distortion, especially at the edges. I am very happy to say that the overall distortion is very well controlled. In my shots of building interiors, I found it very difficult to observe any objectionable distortion. The level of sharpness that the 14mm Art can produce at f/1.8, especially at the center of the frame, is simply fantastic! The edges show a minor drop in resolution, but is very good too. Here one needs to understand that with a wide angle lens, there is a very little chance that the point of interest will be placed at the dead center, making edges important too. Throughout the entire aperture range, the lens displays excellent sharpness, but the most uniform results are from f/2.8 to f/11. During my testing I tried this lens in different lighting conditions. AF speed was fast and it locked without hunting. Fringing and flare are minimally visible, but well-controlled and can be easily corrected. At f/1.8, there is prominent, but expected light fall-off. It goes away at f/2.8. 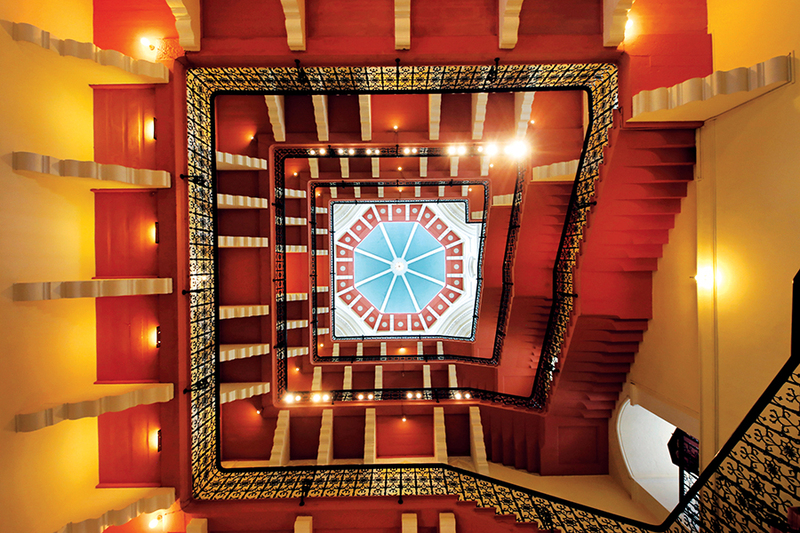 Priced at Rs.1,33,440, the Sigma 14mm f/1.8 DG HSM Art holds its own very well. The Nikon 14mm is about 20% less expensive, but it is a much older, slower D-type lens released in 2000 (not optimised for high resolution sensors). The Canon 14mm is more expensive by about 20%, but both the Nikon and Canon lenses lag behind at f/2.8. 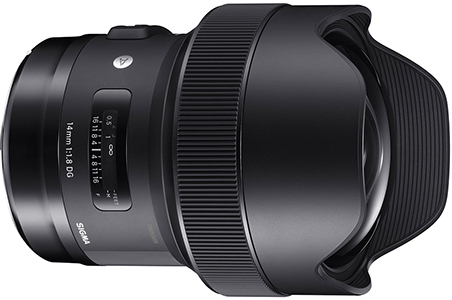 Sony has no competing option yet for its A7 /A9 series, but the Sigma 14mm can be adapted using the Sigma Mount Converter MC-11. The Sigma 14mm f/1.8 Art makes a sound buying proposition, and is the best choice at its focal length. Who should buy it? Low distorion, good sharpness makes it perfect for astro, interior and landscapes. Why? Exceptional optical quality and a great price are an unbeatable combination.